Aed Bouchakra joined HLP Lawfirm since its inception and was previously practicing at The Levant Lawyers (TLL) in UAE since 2006. Aed is acting as head of corporate department at HLP and is in charge of all corporate matters related to Corporate Structuring, Articles and Status drafting, Merge & Acquisitions, Share Purchasing transactions . Aed has acquired good skills in leading lawyers team and handling multi-parties corporate transactions and achieving turn key corporate structure for a multi-jurisdiction corporate group Clients. Conducting and preparing Due Diligence reports. Closing major deals on corporate restructuring and M&A transactions for regional group activities on construction, building materials, waste collection, food and catering industry etc. 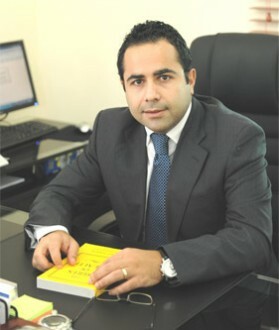 Providing legal advice and consultancy in different fields, specially relating to her main practice areas which comprise Commercial and Corporate Law, Franchising, Arbitration and Alternative Dispute Resolutions (ADR), Intellectual Property, International Transactions, Privatization, Mergers and Acquisitions. Bachelor’s Degree in Law Autumn 1998, Lebanese University, Beirut -Lebanon.